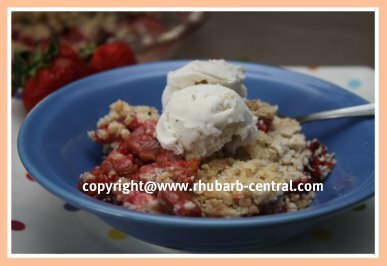 This Rhubarb Strawberry Crumble Recipe makes a delectable Rhubarb Crumble for a dessert or brunch idea! 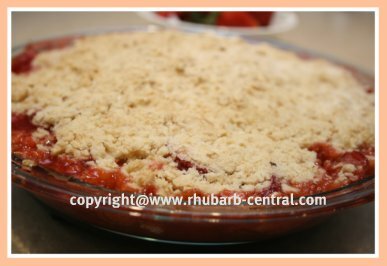 If you are looking for something "special" to make with the fresh rhubarb you have just harvested, why not make this strawberry-rhubarb combination? Strawberries are usually ripe around the same time as rhubarb, and these two paired make a very flavourful dessert! 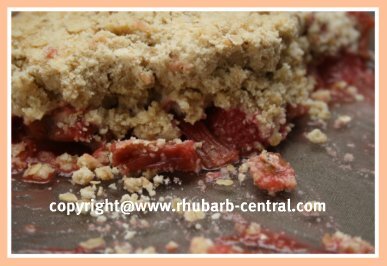 This red rhubarb crumble has great eye appeal too! In a bowl, add the flour, oats, baking powder, brown sugar, and the lemon zest, and whisk, or use a fork, to combine. Divide the butter into pieces, and add to the flour mixture, and mix with your fingers to form crumble mixture. In a bowl, combine the prepared rhubarb and strawberries, lemon juice and the brown sugar, and gently toss to coat. 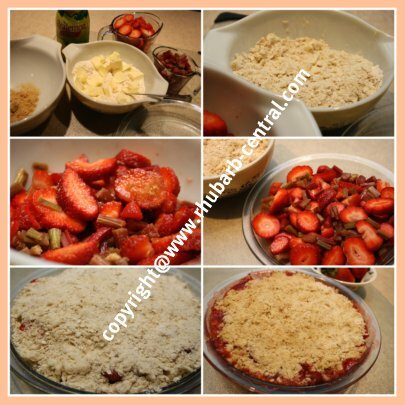 Transfer the rhubarb/strawberry mixture into a greased (I use non-stick cooking oil spray), 9" pie dish or a 8" square baking dish. Sprinkle the crumble mixture over top of the filling in the baking dish. Bake at 375° F for about 35 - 40 minutes, or until the filling begins to bubble, and the topping is golden brown. Serve warm or cold with a dollop of ice cream, whipped cream, whipped dessert topping or Greek Yogurt.